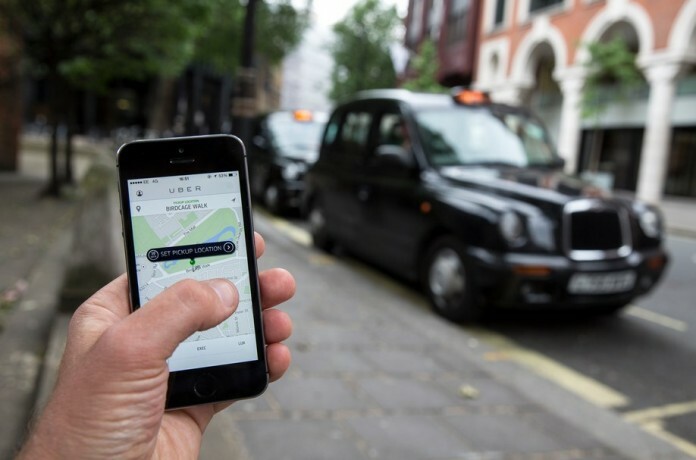 Taxi-hailing service Uber is legal in London, Britain’s High Court ruled on Friday, following months of protests from drivers of the capital’s famous black cabs that the app was undercutting their business. Unlike the taxis, which can be flagged down in the street and use a meter to calculate fares, Uber allows customers to book and pay for a taxi using an app on their smartphones. It also provides a second app for drivers to calculate the cost of a journey. The court had been asked to decide whether that technology breaks laws which prohibit the use of taximeters in private hire vehicles in the British capital. Judge Duncan Ouseley ruled on Friday that the app could not be considered a taximeter and was not therefore illegal. “A taximeter… is not a device which receives GPS signals in the course of a journey, and forwards GPS data to a server located outside of the vehicle, which calculates a fare … and sends the fare information back to the device,” he said. Cab drivers have staged high-profile protests in London, arguing that Uber bypasses local licensing laws. Demonstrations have also been held in other cities around the world including Paris and Sao Paolo. Last month the mayor of Rio de Janeiro said he would ban the app in the city. The court’s decision is however separate from a consultation which London’s transport authority launched last month, proposing tougher rules which could hit the San Francisco-based app, whose investors include Goldman Sachs and Google. Under those plans, firms would have to provide a booking confirmation at least five minutes before a journey starts and allow cabs to be booked up to seven days in advance. They could not show vehicles for immediate hire via an app and must specify the fare prior to the booking being accepted as well as a range of other proposed changes.